A cabinet photograph depicting Frank Brown, seen wearing a morning coat and holding a bowler hat. Photograph was taken at the Morton studio, 75 Westminster Street, Providence, Rhode Island. 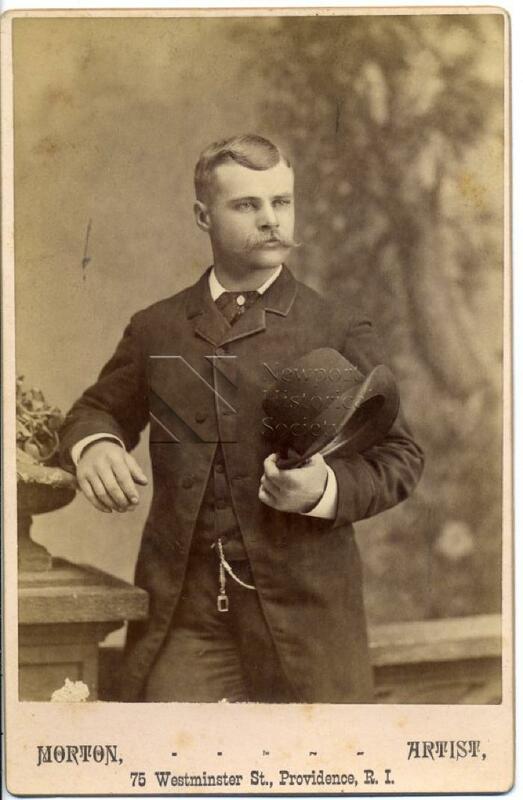 Handwritten text on reverse reads: "Frank Brown/Son of John + Annie Brown/Warren RI".